I'm Here. I'm Queer. What the Hell do I read? : SCBWINY10 - Saturday! Libba Bray's opening keynote: Writing as an Extreme Sport! The fantastic Jacqueline Woodson's lunchtime Keynote "Locking the Door Upon Ourselves: The Importance of Writing In Today's World" Jacqueline is amazing and articulate and her words are just... poetry, even when she's just speaking with you! And Peter Sis' keynote: Making Sense of Life Through Books - because hey, that's so much of how I made sense of the world and my place in it as a kid and teen! It's a day that's going to be packed-packed-packed with great info and moments and wonderful people. 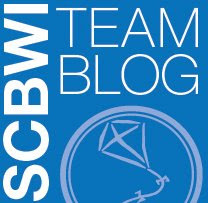 There are lots more "Real Deal" sessions with Jenn Bailey, Eddie Gamarra, Allyn Johnston, Alvina Ling, Laurent Linn, Brenda Murray, Edward Necarsulmer IV, and Francesco Sedita - and it's so great that there's a whole team of us SCBWI Team Bloggers who can give you a taste of all of it! At SCBWI's 2008 Summer Conference in Los Angeles, a group of LGBT editors, agents and authors met informally to discuss LGBT publishing, specifically chatting about the submission process, who is interested and what types of stories they are interested in. We've continued this conversation at each conference since. Please join us on Saturday, January 31, at Uncle Charlie's Bar, 139 E. 45th St, at 5:30 after the day's scheduled events. Maybe you've written a book about or for gay, lesbian, bisexual, transgendered or questioning youth; maybe you're interested in doing so, and you're just not sure where to begin; maybe you are just curious to learn more about this vital corner of the market for young readers. Whatever your interest in the subject matter, all are welcome. Bring a friend and any questions you may have. Hosted by Aaron Hartzler, T.S. Ferguson, and myself. This is IN the Grand Central Terminal, and you can get there from the hotel without going out into the cold! How cool is that? And they have live jazz. And martinis! Hosted by the incredible Jenn Bailey! WOW - that's a full day! And to start it out, check out this hysterical "Try Not To Piss Off The Editors" video I made with Paula Yoo and Arthur A. Levine, posted here on the Official Conference blog! The 2010 Comment Challenge FINALE! The 2010 Comment Challenge Starts TODAY! The 2010 Comment Challenge Starts This Friday!! !